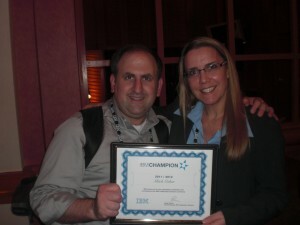 It is that time of year again, nominations are open for the next class of IBM Champions. Take a few minutes and nominate yourself, or even better nominate someone else to show appreciation for their contributions to the community. During the December IBM Collaboration Solutions Community Webcast IBM announced the 2013 IBM Champions for Collaboration Solutions. I am honored to be on the list again for 2013 and happy to see many others return as well as some new names added to the list. I would like to thank those who nominated me, and IBM for the recognition. It was nice to see my photo along with other IBM Champions up on the big screen at the OGS. Thanks to Joyce and IBM for all they did for the IBM Champions at Lotusphere, and for this new addition to my office wall. View an interview with IBM Champions Adam Brown, Lisa Duke, and Mikkel Heisterberg on the Social Business Insights Blog. I am very very late to the game with this post, but I did want to say thank you to those who nominated and selected me to be an IBM Champion. 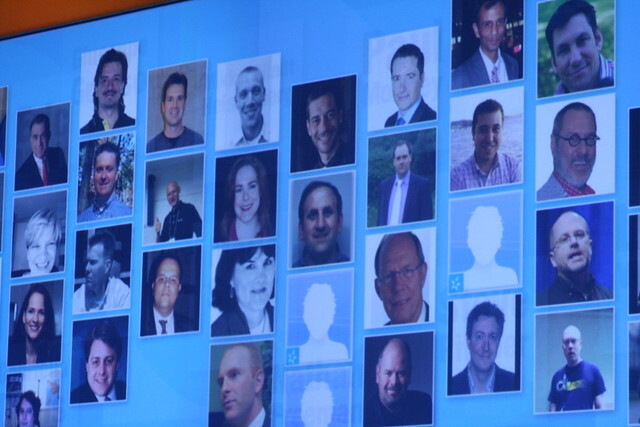 You can see the entire list of IBM Champions for Collaboration Solutions here, and there is a Twitter list that follows all of the Champions who are on Twitter as well. There will be more champions nominated and selected in the future, so check the IBM Champion Home Page for all the details and think about who you want to nominate for the next round.